Following overtime wins last night in the semifinals, #4 seed BU will take on #3 seed Providence for the Hockey East Championship. 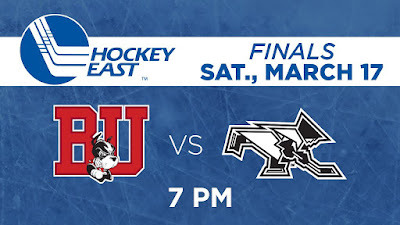 The Terriers are making their 12th title game appearance and will be seeking their ninth conference title. The game at TD Garden is slated to start at 7 p.m. and can be seen on NESN-plus, ESPN3 and TSNGo. 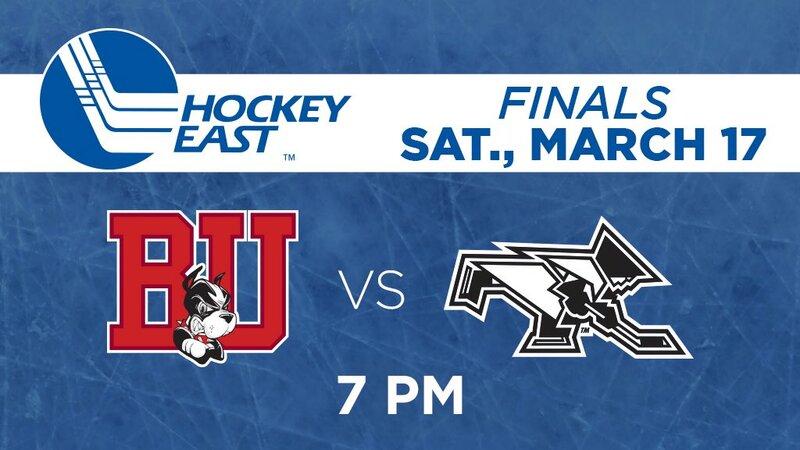 BU and Providence have met once previously in a Hockey East Championship game with the Terriers taking a 3-2 win in the final college hockey game played at the old Boston Garden. Providence won the only two match-ups played at TD Garden, winning the 1996 Hockey East semifinal and the NCAA title game in 2015. Two months ago, the teams played a 2-2 overtime tie at Agganis Arena. In November, they traded shutout wins, with the Friars taking a 3-0 victory at home and BU's Jake Oettinger pitching a shutout the next night at Agganis, 2-0.